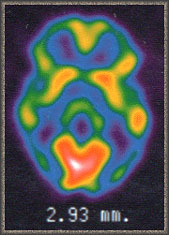 PET Scan after concussion is the best imaging technique to assist in the diagnosis of subtle brain injury because it is a functional imaging test, very sensitive to the diffuse changes seen after concussion. 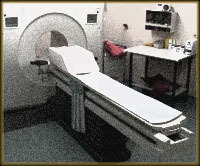 A PET scan is a test that uses a camera and what they call a tracer (special dye) to look at images of organs in the body. The tracer is put in intravenously through the vein and usually in the arm. The tracer collects in cells and puts off positive charged particles that the camera then turns into images to be displayed on a computer screen. The advantage of functional imaging studies is that by measuring some aspect of brain function, it can show us something about the living brain, that an evaluation of its structures alone can not. Because they show how the brain is functioning, they can identify evidence of diffuse, yet microscopic, brain damage which other scans can not. MRI – Spectroscopy: New but may be the breakthrough test. EEG and QEEG i.e. Brain Mapping. The way in which a functional test does this is by looking at how the brain is functioning, by examining a specific aspect of a brain’s function, such as glucose or oxygen consumption in the case of PET. It does this when the tracer collects with the cells and can transmit this to the camera for imaging on the computer. PET uses a radioactive isotope. PET is positive in a significant majority of subtle cases. PET is highly correlative to Neuropsych Testing. PET is the best way to determine the severity of brain damage in catastrophic brain injury.